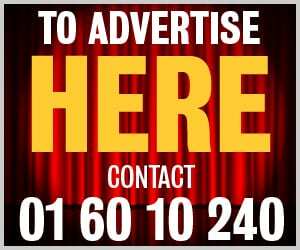 The much-loved and hugely popular Gaiety Panto has been entertaining generations of Irish families for the last 145 years. Christmas in the capital just wouldn’t feel right without the annual festive fun at the iconic theatre and this year’s show promises to be another epic. The Snow Queen, a production based on the Hans Christian Andersen fairy-tale, will bring audiences of young and old alike on a fantastical journey of drama, comedy, song and dance. Featuring West End star Louise Bowden as the Snow Queen, Nicholas Grennell as Jack Frost and the legendary Joe Conlan as the Panto Dame this year’s production will be in excellent hands. Dublin Gazette caught up with Louise in between rehearsals this week to find out more about both the Snow Queen and herself. “Preparations are going great thank you. We’ve been here since Tuesday, getting the panto on it’s feet and everyone is working very hard,” she says. A hugely successful musical theatre actress, singer, dancer, creative and choreographer, Louise enjoyed a wonderful decade performing in London’s West End in legendary shows like Guys and Dolls, Into the Woods, Mamma Mia, Mary Poppins, Singin’ in the Rain and We Will Rock You. Having moved home permanently from the UK two years ago, she says the Snow Queen represents her life coming full circle. 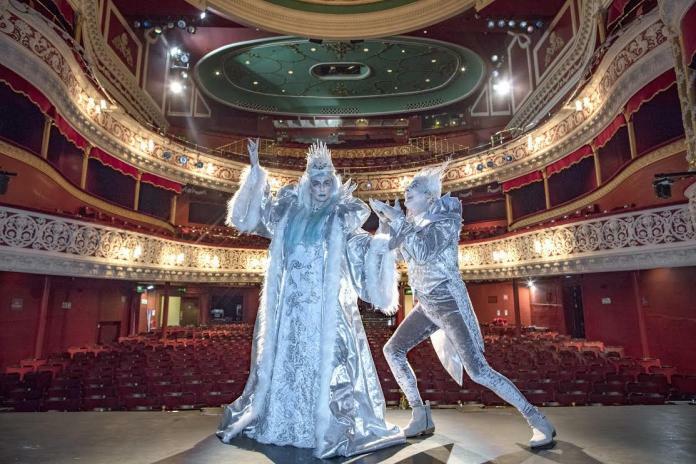 “I was involved as a child in the 1993 Gaiety Panto version of the ice queen in a kid role and now here I am back 25 years later, it’s all very bizarre but wonderful! “I am delighted to be returning to the Gaiety this Christmas, this is the first thing that enticed me since I came home. I think audiences are going to really love it. “Can the Snow Queen be stopped from freezing the fun out of Christmas! Will love conquer all? Louise also now works as a teacher at the famous Billie Barry Stage School, the very place her own dance career began. Another amazing memory from that time was when she got to work with the legendary Rudolf Nureyev, regarded as the greatest male ballet dancer of all time. “It was 1990, I was only a child, my career began when I got I picked to perform in Coppélia at the old Point Depot, with the Cleveland San Jose Ballet which included Nureyev. “As you can imagine it was an incredible experience. As a kid of nine I was in awe of him. The Snow Queen runs from November 25 to January 6 and tickets are on sale and available at Ticketmaster outlets and Gaiety Theatre Box Offices or online at www.gaietytheatre.ie or www.ticketmaster.ie. Price is €19.50 (including booking fee and restoration levy). For group bookings phone (0)1 646 8687 or e-mail group.sales@ticketmaster.ie.